Just heard tracks from your album on ‘Three from Leith’ podcast. Great stuff. Many thanks Nick, glad you enjoy the music. Lots of stuff on the horizon so stay tuned and thanks again. I was a judge at the Edinburgh Folk Club Songwriting Competition and enjoyed your songs very much – keep writing, you have a wonderful voice! Thank you very much Madelaine for your kind words. It was a great experience not having been in the folk bracket for very long. It showed how much talent is around in Embra’ and was frankly very humbling. Stay tuned for more songs on our new EP ‘Raise the Coin’ coming out soon, and hopefully you shall see me (us) performing very soon. Thanks again for ur lovely message, its made my day. firstly, thanks for taking the time to give the Winters a wee listen, much appreciated. We no longer have any hard copy cd’s of the first album, but it can be easily downloaded from numerous websites, (itunes, bandcamp etc…). I’ll give you a few links at the end of this and let me know how you get on. Good luck, and thank you for making contact with us. Where did the spennymoor song come from,this is how we heard of the group cos we live in spennymoor. Hey Chris, how you doing? thanks for contacting us. ‘Spenny was chosen as the subject as it had the correct facets that suited the song. The Mining history was the most important, but the beautiful name itself was a big factor. ‘Spennymoor’ is a lovely word to say, it rolls smoothly, and when singing that can be a big issue. It looked right on paper, sounded right onstage and had everything we needed to give the focus of the Miners plight and hardships. Hope this helps Chris, if you’d like anymore info, lyrics or just a wee enquiry, just give us a message, or find us on our facebook page and contact us there. (dont forget to give us a wee ‘like’). Thanks again, enjoy the tunes! 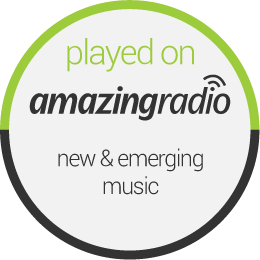 Hi Guys, love the music listened to you on Radio Saltire on Madelaines’ slot. I am the guy who books the acts for our Traditional music festival. we’ve been on the go for 25 years and as always on the look out for new and fitting acts. I would like to have our committee listen to your sound, any chance of forwarding me some costs? to my e-mail? Cheers Johnny. thats great news, our manager shall be in touch.